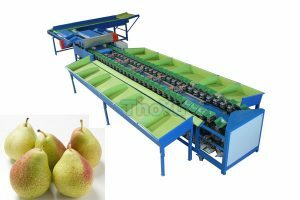 Apple grading machine is used to grading apples according to diameter size or weight,which is also called apple sorting machine,appler grader,the apple sorting machine has the function of lifting picking fruit, roll bar conveyor, roller sorting and other functions. This device has combined of lifting, sorting two parts aslo equiped with cleaning,waxing and drying function according your need. 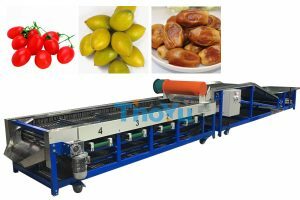 It use roll bar conveyor to transport fruit. We sorted fruits and vegetables according to the diameter size or weight of fruit. Sorting drum is consisted with progressively enlarged diameter bore hole. We have a whole apple processing production line consists of appele cleaning machine,apple grading machine, apple waxing machine and apple drying machine. The fruit and vegetable can tumble freely on the roller by the rotation and revolution designing. The fruit and vegetable can be more sanitary and clean with the second time spray cleaning. Special motor shield and oil collecting plate and floor type oil guide pipe designing can guarantee the sanitary of the fruit and increase the water-proof effect of motor. The material is stainless steel and with perfect surface, firm and durable structure. 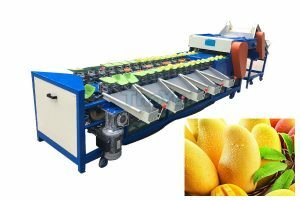 This apple sorting machine structure is simple and compact, handsome in appearance, lightweight and durable. Simple operation, low noise and no harm to the fruit. Easy maintenance and low power consumption. 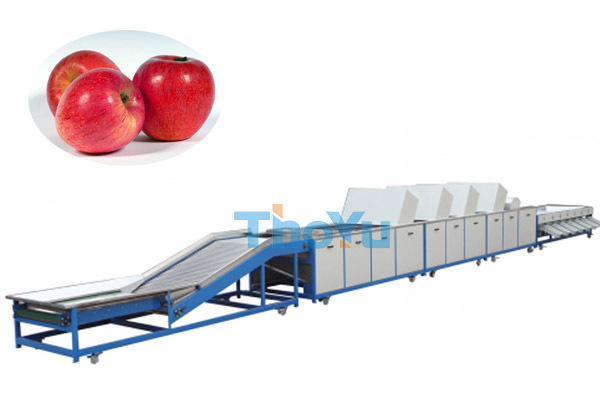 apple sorting machine is widely used in fruit orchards, fruit company, fruit and vegetable production base, as well as fruit and vegetable cooperatives. We accept the customerized size according to client’s demand.